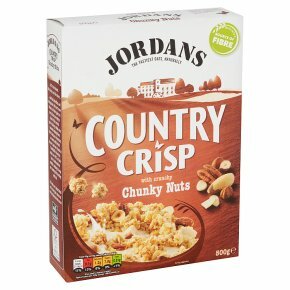 Crisp cereal clusters with flaked almonds, chopped Brazil nuts, chopped pecan nuts & roasted chopped hazelnuts. Naturally high fibre. The tastiest oats, naturally. Absolutely nothing artificial. Non GM. No added salt. Suitable for vegetarians.Perfect for nut lovers Get ready for light and crunchy golden oat clusters with flaked almonds, roasted hazelnuts, chopped Brazil and pecan nuts. And the best part? They stay crunchy to the last bite.